My family's trip to Costa Rica was marvelous, but also a week filled and little time for reading. Here is what I completed, mostly before I left. Thanks to Candlewick Press for this ARC! I do know that the definition of ‘turnkey’ is ‘a keeper of the keys’ and this time, Allison Rushby has written an exciting story of those whose job is to ensure that all souls buried in the cemetery stay at rest. 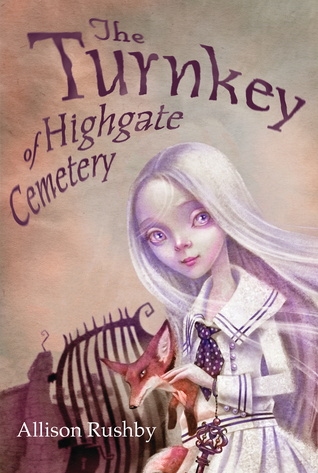 Flossie Birdwhistle is the Turnkey at London’s Highgate Cemetery. She, who died at twelve, is quite young to be one, but each Turnkey also has an advisor and Flossie’s is Hazel, the fox. Plus, she has a number of friends who are Turnkeys at other cemeteries, and are helpful and kind. This adventure means she needs all the help she can find! Flossie’s work is made especially difficult by World War II. The time of the London Blitz is one filled with danger, and often Flossie is found at the top of St. Paul’s Cathedral watching and worrying. When Flossie encounters the ghost of a German soldier carrying a mysterious object that seems to exist in both the living and spirit worlds, she becomes suspicious — what is the officer up to? Before long, Flossie uncovers a sinister plot that could destroy not only her cemetery but also her beloved country. She asks for help from ghostly friends. The story includes all the usual ups and downs, showing especially Flossie’s thoughtful ways as well as her sorrow to have first lost her father, whose ghost, too, is involved in the story. Flossie also finds the courage to act in spite of the limitations of those in the spirit world. Pairing a ghostly world with its possibilities and restrictions and this time in history when many fought hard to save their countries creates lots of interest for further learning. Each page made me want to discover more! There are some details of the death and destruction by the bombing, so the story is possibly best for ten years and up. Reading this caught me trying hard to understand how it can be for the powerful social hierarchy in Pakistan to be so cruel. Amal, a Pakistani girl loves learning and going to school, is smart and dreaming of a future different from those in her village. Her thoughtless remarks to the local wealthy landowner are taken as disrespectful (though I can hear readers everywhere shouting “No!”). Sadly, she lands in the contemporary practice of indentured servitude because she’s embarrassed this man in front of others and her father also owes him money, like so many others in the village. This is not unlike the “company store” that’s written about in mining towns here in the U.S. as far as the power held because of debt. Amal’s time as a servant itself shows her complex emotions as she learns and sympathizes with the stories of those other servants and even of the mistress whom she serves. Saeed does not stay with only a few stories, but through description shows a culture with rules that are not to be broken, in relationships, about gender, and the responsibilities of the eldest in a family. The power of education underlies the story as Amal uses what she has already learned to make change. Her small and large acts of resistance are to be celebrated as her story and that of others emerges. This will be an important book to share and discuss with middle school kids. Beautiful illustrations show the dark nights of tension when slaves choose to take the “underground railroad” to freedom. It is speculation that a blacksmith might create rhythms with the hammer striking the anvil to help people on their way, but it takes into account that secret communication did happen and perhaps these rhythms helped, too. Elly MacKay brings her gorgeous art and historical research to share various weather wisdom from folklore. There is a source list and added information about the truth of each saying. I know some of these, like "red sky in the morning, sailor take warning" but others are new to me, like "When the wind is in the West, then the fishes bite the best." Most have to do with observations of course, of water, wind, and sky. For those studying weather or the sky, observing what happens each day, it will be a book to help you start learning. 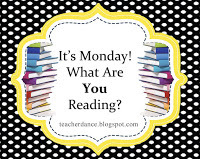 Still Reading: A Train In Winter by Caroline Moorehead. Up Next: The Journey of Little Charlie by Christopher Paul Curtis. So many are saying great things about this. I also have a YA book, Tradition by Brendan Kiely, that sounds good. Amal Unbound sounds powerful. I have to get to it soon. It is powerful. I could hardly put it down, Lisa. Enjoy when you can! My daddy was in the Coast Guard, so I especially remember the "red sky at night" saying. I'm putting this one on my list. I'm also intrigued by The Turnkey of Highgate Cemetery. Might as well add that one to my list! I'm so glad you read and enjoyed Amal Unbound. Such a sweet, yet brave, voice! Thanks for all the shares this week, Linda! You're welcome, Shaye. I liked Red Sky At Morning very much, a fun book about wise sayings and the "whys" backing them up. Yes, Amal Unbound is lovely. 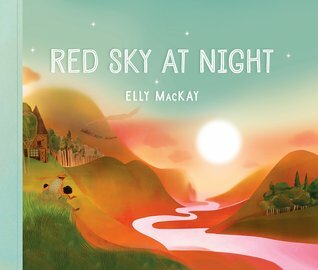 Red Sky at Night has such a gorgeous cover, and what a great concept for a book! Thanks for sharing! I think it's a terrific idea, too. 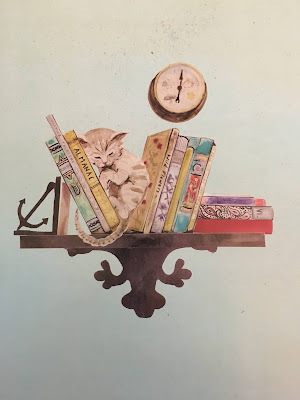 It's a lovely read! Thanks, Katie! I like Amal because many of my students have a hard time imagining any way of life but their own. I liked Escape From Aleppo for the same reason! And I still haven't read Escape from Aleppo (and want to), but some of those appropriate stories also include the books by Deborah Ellis, The Breadwinner Trilogy. The Breadwinner Trilogy and Malala's biography made such a deep impact on my middle school kids, in terms of what they learned about the hurdles women and girls have to overcome in places such as Pakistan, India, and Afghanistan. Amal Unbound sounds like another book in this genre - I am looking forward to reading it, Linda. There are many like Amal Unbound out now, but I too shared The Breadwinner Trilogy with students. They were some of the few then. Yes, Tara, Amal Unbound is terrific! 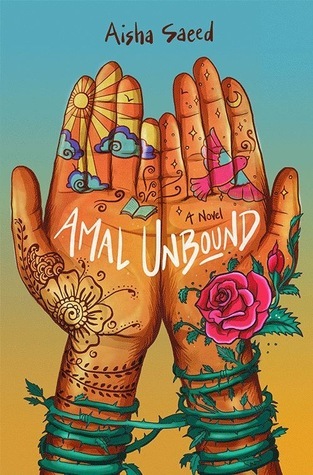 I have Amal Unbound and need to read soon it since it's a choice for The Global Read Aloud. I keep hearing such rave reviews! Yes, it's great! Thanks, Laura! Thanks, Ricki. This book is high on my list of great reads! Wow! So many people are talking about Amal Unbound today, including me. 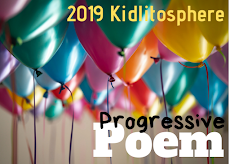 I'm sure it will be a hit with kids this year as the global read aloud. I'll look for Blacksmith's Song since I'm fascinated by the role quilts played in the underground railway. I think much music is connected so why not rhythms too? The choice of Amal Unbound for the Global Read Aloud is a terrific one, agreed. 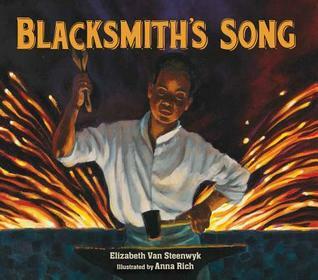 Blacksmith's Song is gorgeous and feels like a dream that might have been. Thanks, Cheriee. I have read such good things about Amal Unbound that I can't wait to read it! Naturally, I LOVE that page from Red Sky at Night--will have to get that one for sure. I really need to get to Amal Unbound before the semester starts so I can decide if I want to devote a chunk of time to reading aloud in my new Theory & Practice of Teaching Reading course. That page is the sweetest! What fun to use parts of Amal Unbound as a possible for your class. 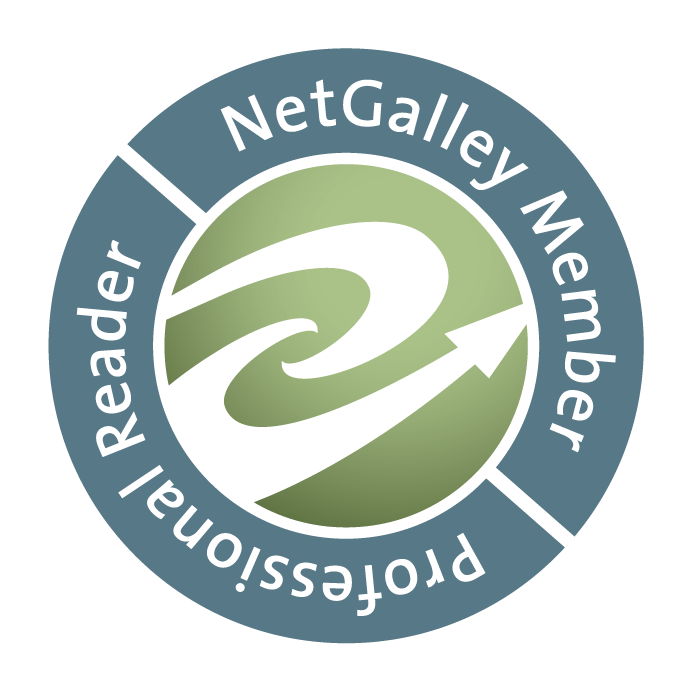 More readers! Thanks, Elisabeth! Oh, Amal. So important and well done; glad you loved it as well! Amal Unbound was a powerful read. Will be thinking about this one for a future book club title.